Sell your unwanted luxury pre-owned watch and get instant cash! We aim to pay top prices for prestigious brands. Fill up our form and get an instant quote from one of our expert evaluators. If you are looking for the best place to sell Tag Heuer to get an accurate value for your luxury watch, contact us at The Luxury Hut now. You will get instant payment without any hassle. Where can you sell your used Tag Heuer watch ? As the most trusted name in the luxury watch industry, The Luxury Hut provides a fast, hassle-free and competitive service to customers who are interested in selling old Tag Heuer for cash. The Luxury Hut has a professional watch specialist team that has extensive experience and understanding of all luxury pre-owned watches. We know the real value of any classic and contemporary Tag Heuerwatch models. Our expert team will assess a pre-owned Tag Heuer timepiece precisely, considering the model, age, condition and other factors. We will confirm all the details provided and determine the offer price. We may even look at the accompanying papers to assure your watch’s authenticity. If you accept the offer, we will pay instant cash. At The Luxury Hut, you can sell a Tag Heuer watch online or via appointment. You may want to sell a Tag Heuer Formula 1 or sell a Tag Heuer Silverstone in London. 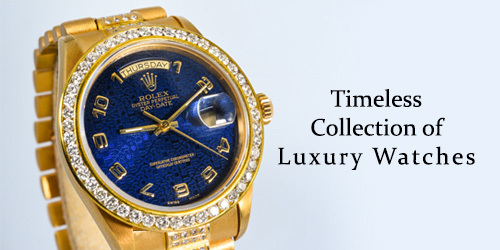 We, at The Luxury Hut, will buy your luxury watch at the most competitive price. The Luxury Hut is one of the most trusted watch dealers in London and we pride ourselves on always paying the best possible price for any used Tag Heuer watch. Selling a pre-owned Tag Heuer to us is quite simple and hassle-free. Our long-standing presence online assures our customers that they will get a genuine deal and peace of mind when selling their used Tag Heuer to us. You can get a free valuation once you fill in our ‘Get a Quote’ form. We will call you back or email you soon with a quote. 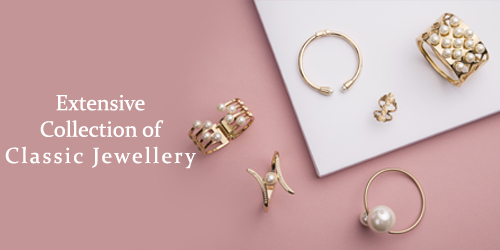 You can also call one of the experts at The Luxury Hut on 0207 242 5411 or email at [email protected] or visit our office in Hatton Garden, London (by appointment) with your luxury watch. If you want to sell vintage Tag Heuer to the most trusted watch dealers in London, get in touch with us at The Luxury Hut. ‘Where can I sell my Tag Heuer watch in London?’ or, ‘Which is the best place to sell an old Tag Heuer watch for cash?’ the one answer should be– at The Luxury Hut. At The Luxury Hut, we buy all types of used Tag Heuer including both men’s and lady’s watches, be it is vintage or modern. How to get the best value of your second hand Tag Heuer watch ? If you retain the original box and documents of your used Tag Heuer watch, it will help you to secure the highest possible value of your luxury watch when you sell it to The Luxury Hut. However, keeping a luxury watch in its box may also prevent it from scratches, scuffed or other damages. The condition of a pre-owned watch plays a significant role when determining its accurate price. Thus, any damages may cause a considerable cutback in the resale value. Service your Tag Heuer watch on a regular basis and keep all the service receipts. This may also help you obtain the best possible price of your timepiece when selling it to us at The Luxury Hut. If you are looking for a reliable and trustworthy Tag Heuer watch buyer to sell your Tag Heuer timepiece, get in touch with the experts of The Luxury Hut. As a specialist in the second hand luxury watch industry, we aim to provide our customers with the best price for their old Tag Heuer watch. Fill up our online form now, providing all of the known details of your Tag Heuer watch. The more information you can give us when selling your used Tag Heuer watch, the better. We will offer you a free valuation shortly after, based on the details you provided and the current market value. If you are satisfied with our assessment, bring in your luxury watch or send it to us at our office for a more accurate evaluation. We will pay you in cash or via your preferred method of payment. The Luxury Hut ensures that you will receive the fairest price for your pre-owned Tag Heuer watch securely and quickly.